May’s local elections are rapidly approaching and these are exciting times for Peterborough. I am writing this the day before Nigel Farage’s visit to the KingsGate Centre in Peterborough, an event that I am sure will be an overwhelming success. Nigel has always taken a keen interest in Peterborough and has visited the city several times over the years. He values local opinion and crucially, unlike many national politicians, he is prepared to listen to the ordinary man and woman in the street. Peterborough is a rapidly growing city, the third fastest growing in the country. This brings a lot of positives such as more national retail chains choosing to locate in the city, and many restaurants opening over the past few years. However, there are negatives too associated with a rapidly growing city, such as reduced social housing stock and pressure on our schools and local hospitals. Many of our schools desperately need to improve and be a credit to our growing city. Money is always important but is not the only criteria required for improvement. Good teaching, commonsense school policies and the removal of red tape that is so often a barrier for schools all need to be improved upon. It is great news that Ravensthorpe Primary School has had its Ofsted rating raised to good after four years of continued improvements. This is down to the great work of the teachers and management staff and is an example to other schools in the area over what can be achieved. More social housing is desperately needed in Peterborough with around 3,000 people on the waiting list. Slum landlords abound in Peterborough with many houses of multiple occupancy run by landlords of dubious integrity. This practice must come to an end. More social housing stock must be built and become both affordable and available. The local Labour party is a shambles with lots of infighting. Indeed Lisa Forbes is not even standing for re-election this May in Orton Longueville. 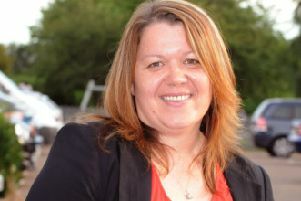 She still wants to stand against Stewart Jackson in the 2020 General Election which she sees as a more glamorous seat to representing her local Orton Longueville constituents. The Tory dominated city council has had it easy for far too long. They must be held to account for their failures, and come May when I expect to see many new UKIP councilors sitting in the council chamber, they will be challenged for this failure and solutions rather than excuses must be achieved.